USA, California, Menlo Park – November 22, 2010 – What some perceived as chicken footprints may likely be extraterrestrial symbolic construct technologies. Years ago, an individual – using the alias name “Issac” – conveyed a multi-page report ( ” CARET ” ), laboratory photographs, and detailed personal encounters ( from at least 1984 through 1987 ) on what was believed a U.S. Department of Defense ( DoD ) Defense Advanced Research Projects Agency ( DARPA ) Program recruiting to work on a specific Project ( believed Phase II or Phase III ) studying what was ‘officially briefed’ to Issac – amongst his task team – as highly complex relatives of ’extraterrestrial’ structures, materials, components, construct language symbolics. Unwanted Publicity Intelligence Annex report ( herein ) will only provide more detailed analysis on Issac provided information that news media organizations half-heartedly carried to the public years ago. Extraterrestrial materials, although highly complex to what Issac’s group had ever seen in their lives before, saw supercomputers lumber under tasking extremely complex substrates and geometric symbolics, amongst other secret-sensitive items, that Issac and others analyzed and deciphered. Within the building, amongst other secret-sensitive items, combinatoric studies were not limited to extremely complex substrates, symbolics, and more that developed an extremely complex ‘primer’ in which Issac’s report is named “Commercial Applications Research for ExtraTerrestrial Technology” ( C.A.R.E.T. or CARET ). Issac’s personal accounting ( further below ) reports the aforementioned work was conducted within what first appeared as only an upscale industrial office complex ‘building’, presumably located in the State of California County of Santa Clara. Issac describes his facility adjacencies being multi-compartmentalized ‘individual government contractor offices’ – believed assigned to various sensitive tasks for the United States government – whereupon, amongst other compartmentalized secret characteristics ( never mentioned the facility being a ’self-sealing building’ ), were five ( 5 ) underground floors hidden. – Three [ 3 ] underground level dedicated parking for ‘militarized troop personnel’ vans and/or buses. 1. Could Issac’s seemingly ‘personal account’ have actually been ‘cleverly ghost written’ for ‘someone else’? 2. Could Issac have actually been a ‘female’? 3. Could the ‘name’ of the author, “Issac,” have actually been derived from the ‘name’ of a ‘male sibling or spouse’? 4. Could Issac’s seemingly ‘personal account’ have actually ‘taken place geographically elsewhere’? “Issac” ‘reports’ ( further below ) begin ‘personal accountings’ by ‘laying a foundation scene’ surrounding the State of California County of Santa Clara “Silicon Valley” industrial technology history. Issac then simply includes a report ‘cover page’ entitled, “Palo Alto CARET Laboratory” so, for all intents and purposes readers may ‘then instantly gravitate with the assumption’ that Issac’s ‘personal account took place in Palo Alto, California’, but then “Issac” mentions – but does not detail – only very few ‘building characteristics’ and uses the most ‘general of terms’. Might Issac have ‘purposely laid such a foundation’ after ‘altering the true facility name on he report’ to only be known as the “Palo Alto CARET Laboratory” or “PACL” when the ‘building’ may have actually been ‘remotely located elsewhere’ albeit within or under a ‘temporary U.S. government contract project’ and/or ‘adjunct’ of yet another larger organization. Was Issac’s ‘reported building’ just a stand-alone upscale city street-side industrial office building made of normal iron re-enforced concrete / cement walled tilt-up construction? At the time, of Issac’s personal account’, the former ROCKWELL SCIENCE CENTER PALO ALTO LABORATORY ( 444 High Street, Suite #400, Palo Alto, California 94301 ) existed near a plethora of ‘other such organization buildings’ performing secret-sensitive work in the Silicon Valley area of northern California. Plenty of such ‘remotely located buildings’ exist. To name a ‘few’, are ‘buildings remotely situated’ at the U.S. National Laboratory in Los Alamos, New Mexico and although ‘such buildings and private contractors are geographically situated there’, funding secrets are hidden under ‘administrative domain auspices’ of the ‘University of California’. But where do “Issac’s” reported ‘armed military personnel’ easily appear from in such a ‘building’? Other ‘remotely situated buildings’ also exist – under U.S. government contract to private companies – on military reservations such as the United States Air Force Research Laboratory ( ARL ) that oversees “PHILIPS Laboratory” secret-sensitive work performed and tested ‘near but not within’ Kirtland Air Force Base, New Mexico but secretly hidden on that huge ‘reservation’. In southern California, Edwards Air Force Base reservation holds unique offerings, amongst other secrets, where after a vehicle passes the ‘entrance sign’ it must continue to be driven an additional 20-miles further before even reaching the ‘main gate’ to gain ‘official admittance’ but with ‘further restricted movement’, whereupon scattered – all around that ‘reservation’ – are a plethora of ‘remotely situated buildings’ under ‘use’ by ‘private business U.S. government contract holders performing, amongst other things, U.S. government secret-sensitive work within a complex of buildings such as those seen inside Area 51 ( also known as ) the Lazy G Ranch ( also known as ) The Ranch ( Nevada, USA ). But even Area 51 (aka) the Lazy G Ranch (aka) The Ranch located in the Nevada desert cannot be compared ( here ) to its secret-sensitive ’sister reservation’ that is only known as a ’proving ground’ someone named ”Dugway” ( Utah, USA ). In 1968, the U.S. Navy had private contractors build its secret-sensitive China Lake Naval Weapons Station ( near Trona, California ) whereon that ‘reservation’ holds one ( 1 ) building, with eight ( 8 ) subterrainean story floor levels, that is stuck out in the middle of the southern California desert. If the U.S. Navy is a military ship sailing and aircraft flying defense organization, what is it doingwith an 8-story subterrainean building in the middle of a desert? From within Issac’s given parameter basics describing the reported ‘upscale city industrial office building’ complex – with five ( 5 ) subterrainian stories – the closest resemblance ‘within the State of California County of Santa Clara Silicon Valley area’ that was the ’unknown building predecessor’ of what later became known as the ‘first privately-owned and operated business’ belonging to the U.S. Central Intelligence Agency ( CIA ) named QIC ( believed known as ) QUANTUM INTEFACE CENTER ( formerly known as ) IN-Q-IT CORPORATION ( formerly known as ) IN-Q-TEL ( affectionately nicknamed ) CIA-IN-Q-TEL where the CIA business ’special technology’ research and development ( R&D ) was performed – although ‘never fully reported’ about – on ‘applications’ for what would later also be known as ” Commercial Off The Shelf ” ( C.O.T.S. / COTS ) product development of secret-sensitive technologies – ‘products’ in-essence, there would accumulate plenty of, for later distribution – to be eventually traded for ‘other valuable considerations’ ( only very little press coverage reported it, as “… products to be sold to …” ) ‘in-exchange’ for which a few ‘private companies’ ( e.g. ‘foreign based company’ PHILIPS, and a few select others ) could possibly offer ‘in-exchange’ for what they ‘could’ or ‘were already providing’ under U.S. government contract(s) that could ‘then’ secretly return U.S. Congress ‘budget approved’ U.S. Department of the Treasury funds by re-routing or mirroring bank wire transferred monies back into the U.S. Central Intelligence Agency ( CIA ) private business that could then re-route those monies as deemed fit secretly into yet other out-of U.S. Congressional scrutinized intelligence projects and programs. But could all this ‘really happen’? The webpage links ( above ) show who was initially put in-charge and what senior executives were selectively chosen from key private industries that led the private U.S. Central Intelligence Agency business so, it really should come as no surprise to a few understanding mechanics behind international stock market trading and international bank wire transfers between domestic and foreign operations of the United States Federal Reserve System. A few such secret-sensitive self-sealing rad-hard ( anti-radiation hardening concrete / cement via ‘gamma radiation saturation’ ) buildings reposturate – ‘prior to the onslaught of’ a U.S. national emergency – via remote triggering such buildings to submerge their entire mass into underground special covering multi-story holes dug in the ground beneath them. So, did Issac’s ‘reported building’ have such ‘additional capacities’ or ‘more’? One might consider such to be more distinct possibilities based on what the “CARET” report entailed and according to “Issac’s” ‘personal accountings’ surrounding such. This letter is part of a package I’ve assembled for Coast to Coast AM [ a nightly broadcast radio station located in the United States of America ] to distribute to its audience. It is a companion to numerous ‘document’ and ‘photo’ scans and should not be separated from them. You can call me Isaac, an alias I’ve chosen as a simple measure of protection while I release what would be called tremendously ‘sensitive information’ even by todays standards. ‘Sensitive’ is not necessarily synonymous with ‘dangerous’, though, which is why my conscience is clear as I offer this material up for the public. My government [ United States of America ] has its reasons for its continual secrecy, and I sympathize with many of them, but the truth is that I’m getting old and I’m not interested in meeting my maker one day with any more baggage than necessary. Furthermore, I put a little more faith in humanity than my former bosses do, and I think that a release of at least some of this information could help a lot ‘more’ than it could ‘hurt’, especially in today’s world. I am not interested in making myself vulnerable to the consequences of betraying the trust of my superiors and will not divulge any personal information that could determine my identity. However my intent is not to deceive, so ‘information that I think is too risky to share’ will be simply ‘left out’ rather than obfuscated in some way ( aside from my alias, which I freely admit is not my real name ). I would estimate that with the information contained in this letter, I could be narrowed down to one [ 1 ] of maybe 30 to 50 people at best, so I feel reasonably secure. I should first be clear that I’m not directly familiar with any of the crafts seen in the photos in their entirety. I’ve never seen them in a hangar or worked on them myself or seen aliens zipping around in them. However, I have worked with and seen many of the parts visible in these crafts, some of which can be seen in the Q3-85 Inventory Review scan found at the top of this page. More importantly though, I’m very familiar with the ‘language’ on their [ craft(s) ] ‘undersides’ [ under bellies ] seen clearly in photos by Chad, Rajman, and – ‘another form’ – in the Big Basin photos. One question I can answer – for sure – is why they are suddenly here. These crafts have probably existed – in their current form – for decades, and I can say – for sure – that the technology behind [ abut ] them has existed for decades before that. The ‘language’, in fact – I’ll explain shortly why I keep putting that in quotes – was the subject of ‘my work’ in years past. I’ll cover ‘that’ as well. The reason they [ extraterrestrial craft(s) ] are suddenly ‘visible’, however is ‘another matter’ entirely. These crafts – assuming they’re anything like the hardware I worked with in the 1980s ( assuming they’re better, in fact ) – are equipped with technology that enables invisibility. That ‘ability’ can be controlled both ‘on board’ the craft, and ‘remotely’. However, what’s important in this case is that this ‘invisibility’ can also be ‘disrupted’ by ‘other technology’. Think of it like ‘radar jamming’. I would bet my life savings ( since I know this has happened before ) that these craft are ‘becoming visible’ and then ‘returning to invisibility’ arbitrarily – probably unintentionally – and undoubtedly for only ‘short periods’ due to the ‘activity of a kind’ of ‘disrupting technology’ [ sonic flocculation ] being ‘set-off elsewhere’ but ‘near-by’. I’m especially sure of this in the case of the Big Basin sightings where the witnesses themselves reported seeing the craft just ‘appear’ and ‘disappear’. This is especially likely because of the way the witness described one [ 1 ] of the appearances being only a ‘momentary flicker’, which is consistent with the ‘unintentional’, ‘intermittent triggering’ of such a ‘device’. It’s no surprise that these sightings are all taking place in ‘California’ ( USA ), and especially the Saratoga Bay / South Bay area. Not far from Saratoga is Mountain View, California ( USA ) / Sunnyvale, California ( USA ) home to Moffett Field [ formerly, a United States Army Air Corps military airfield / United States Air Force Base ( USAFB ) ] and the [ National Aeronautic Space Administration ] NASA Ames Research center. Again, I’d be willing to bet – just about anything – that the device capable of hijacking the cloaking of these nearby craft was inadvertently triggered, probably during some kind of experiment, at the exact moment they were being seen. Miles away, in Big Basin, the witnesses were in the right place – at the right time – and saw the results of this disruption with their own eyes. I’ve had some direct contact with this device, or at least a device capable of the same thing, and this kind of mistake is not unprecedented. I am personally aware of at least one [ 1 ] other incident in which this kind of technology was accidentally set off, resulting in the sudden visibility of normally invisible things. The only difference is that these days, cameras are alot more common! The technology itself is ‘not’ ours, or at least it was ‘not in the 1980s. Much like the technology, in these crafts themselves, the device capable of remotely hijacking vehicle clacking comes from a non-human source too. Why we were given this technology has never been clear to me, but it’s responsible for a lot. Our having access to this kind of device, along with our occasionally hap-hazard experimentation on them, has lead to everything from cloaking malfunctions like this to full-blown crashes. I can assure you that most ( and in my opinion all) incidents of UFO crashes or that kind of thing had more to do with our meddling with extremely powerful technology at an inopportune time than it did mechanical failure on their part. Trust me, those things don’t fail unless something even more powerful than them makes them fail ( intentionally or not ). Think of it like a stray bullet. You can be hit by one at any time, without warning, and even the shooter did ‘not’ intend to hit you. I can assure you heads are rolling over this as well. If anyone notices a brilliant but sloppy ‘physicist’ patrolling the streets of Baghdad [ Iraq ] in the next couple weeks, I’d be willing to guess how he got there. ( I kid – of course – as I certainly hope that has ‘not’ actually happened in this case ). I would now like to explain how it is that I know this. My story begins the same as it did for many of my co-workers, with graduate and post-graduate work at university in electrical engineering. And I had always been interested in computer science, which was a very new field at the time, and my interest piqued with my first exposure to a Tixo during grad school. In the years following school I took a scenic route through the tech industry and worked for the kinds of companies you would expect, until I was offered a job at the United States Department of Defense [ DoD ] and things took a very different turn. My time at the DoD [ United States Department of Defense ] was mostly uneventful but I was there for quite a while. I apparently proved myself to be reasonably intelligent and loyal. Before I explain, what CARET was, I should back up a little. By 1984, Silicon Valley had been a juggernaut of technology for decades. In the less than 40-years since the appearance of Shockley’s transistor, this part of the world had already produced a multi billion dollar computer industry and made technological strides that were unprecedented in other fields – from hypertext and online collaboration in 1968 to the Alto in 1973. Private industry in Silicon Valley was responsible for some of the most incredible technological leaps in history and this fact did not go unnoticed by the US government and military. I don’t claim to have any special knowledge about Roswell [ New Mexico, USA incident believed to be an extraterrestrial flying object ( UFO ) crash ] or any of the other alleged early UFO events, but I do know that whatever the exact origin, the ‘military’ was hard at work trying to understand and use the ‘extraterrestrial artifacts’ it had in its ‘possession’. While there had been a great deal of progress overall, things were not moving as quickly as some would have liked. One of the best examples of the power of the tech sector was XEROX PARC, a research center in Palo Alto, California [ USA ]. XPARC was responsible for some of the major milestones in the history of computing. While I never had the privilege of working there [ XEROX PARC ( Palo Alto, California, USA ], myself, I ‘did’ know many of the people who ‘did’ and I can say that they were among the brightest engineers I ever knew. XPARC served as one [ 1 ] of the models for the CARET program’s first incarnation, a facility called the PALO ALTO CARET LABORATORY ( PACL ) – lovingly pronounced, “packle” during my time there. This [ Palo Alto CARET Laboratory ] was where [ Palo Alto, California, USA ] I worked, along with numerous other civilians, under the auspices of military brass who were eager to find out how the tech sector made so much progress so quickly. My time at the DoD [ U.S. Department Of Defense ] was a major factor behind why I was chosen, and in fact about 30+ [ 30 or more ] others – who were hired around the same time – had also been at the Department [ U.S. Department Of Defense ] about as long but this was not the case for everyone. A couple of my co-workers were plucked right from places like IBM [ INTERNATIONAL BUSINESS MACHINES ] and, at least two [ 2 ] of them came from XPARC [ XEROX PARC ( Palo Alto, California, USA ] itself. My DoD [ U.S. Department Of Defense ] experience did make me more eligable [ eligible ] for positions of management, however, which is how I have so much of this material [ documents, photos, etc. ] in my possession to begin with. So, in other words, civilians ( like myself ) who had – at most – some decent experience working for the DoD [ U.S. Department Of Defense ] but no actual military training or involvement were suddenly finding ourselves in the same room as highly classified extra-terrestrial technology. Of course they spent about 2-months briefing us all before we saw or did anything, and did their best to convince us that if we ever leaked a single detail about what we were being told, they’d do everything short of digging up our ancestors and putting a few slugs in them too – just for good measure. It seemed like there was an armed guard in every corner of every room. I’d [ I had ] worked under some pretty hefty NDAs [ National Defense Administrations ] in my time but this was so far out of my depth. I didn’t think I was going to last 2-weeks in an environment like that. But amazingly things got off to a good start. They wanted us, plain and simple, and our industry – had shown itself to be so good at what it did – that they were just about ready to give us carte blanche. Of course, nothing with the military is ever that simple, and as is often the case they wanted to have their cake and eat it too. What I mean by this is that despite their interest in picking our brains and learning whatever they could from our way of doing things, they still wanted to do it ‘their way’ often enough to frustrate us. At this point I’m going to gloss over the emotional side of this experience, because this letter isn’t intended to be a memoir, but I will say that there’s almost no way to describe the impact this kind of revelation has on your mind. There are very few moments in life in which your entire world view is turned forever upside down, but this was one of them. I still remember that turning point – during the briefing – when I realized what he’d just told us, and that I hadn’t heard him wrong, and that it wasn’t some kind of joke. In retrospect, the whole thing feels like it was in slow motion, from that ‘slight pause’ he took – just before the term “extra-terrestrial” came out for the first time – to the way the room itself seemed to go off kilter as we collectively tried to grasp what was being said. My reflex kept jumping back and forth between trying to look at the speaker, to understand him better, and looking at everyone else around me, to make sure I wasn’t the only one that was hearing this. At the risk of sounding melodramatic, it’s a lot like a child learning his parents are divorcing. I never experienced that myself, but a very close friend of mine did when were boys, and he confided in me a great deal about what the experience felt like. A lot of what he said would aptly describe what I was feeling in that room. Here was a ‘trusted authority figure’ telling you something that you just don’t feel ready for, and putting a burden on your mind that you don’t necessarily want to carry. The moment that first word comes out, all you can think about it is, what it was like only ‘seconds ago’, and knowing that life is never going to be as simple as it was ‘then’. After all that time at the DoD [ U.S. Department Of Defense ], I thought I at least had some idea of what was going on in the world, but I’d never heard so much as a peep about this. Maybe one day I’ll write more on this aspect, because it’s the kind of thing I really would like to get off my chest, but for now I’ll digress. For numerous reasons, the CARET people decided to aim its efforts at ‘commercial applications’ rather than ‘military’ ones. They basically wanted us to turn these ‘artifacts’ into something they could ‘patent’ and ‘sell’. One of CARET’s most ‘appealing promises’ was the revenue generated by these product-ready technologies, which could be funneled right back into ‘black projects’. Working with a ‘commercial application’ in-mind was also yet another way to keep us in a familiar mind state. Developing technology for the military is very different than doing so for the ‘commercial sector’, and not having to worry about the difference was another way that CARET was very much ‘like private industry’. CARET shined, in the way it let us work the way we were used to working. They wanted to recreate as much of the environment we were used to as they could without compromising issues like security. That meant we got ‘free reign to set up’ our own ‘workflow’, ‘internal management structure’, ‘style manuals’, ‘documentation’, and the like. They wanted this to look and ‘feel like private industry’, ‘not the military’. They ‘knew’ this was ‘how to get the best work out of us’, and they were right. They were exposing what is probably their single biggest secret to a group of people who had never even been through basic training and it was obvious that the gravity of this decision was never far from their minds. We started the program with a small set of ‘extra-terrestrial artifacts’ along with ‘fairly elaborate briefings’ on ‘each’ as well as ‘access to a modest amount of what research had already been completed’. It wasn’t long before we realized ‘we needed more’ though, and getting them to provide even the smallest amount of new material was like pulling teeth. PACL [ PALO ALTO CARET LABORATORY ] was located in Palo Alto [ California, USA ], but unlike XPARC [ XEROX XPARC ( Palo Alto, California, USA ], it wasn’t at the end of a long road in the middle of a big complex surrounded by rolling hills and trees. 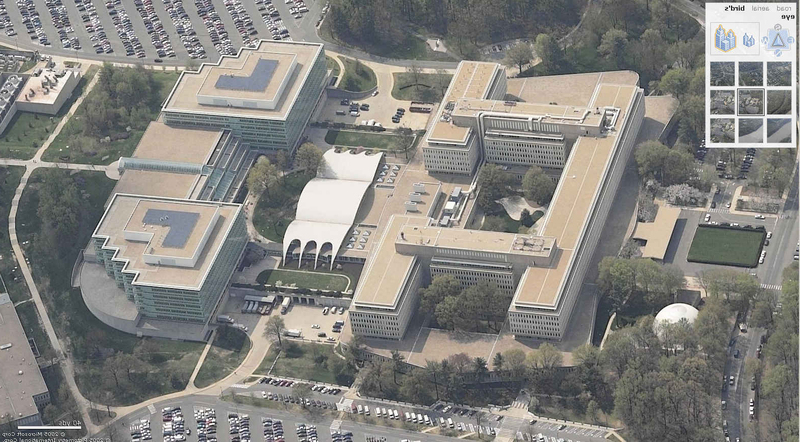 PACL was hidden in an ‘office complex’ – owned entirely by the military but ‘made to look like an unassuming tech company’. From the street, all you could see was what appeared to be a normal ‘parking lot’ with a ‘gate’ and a ‘guard [ security ] booth’, and a 1-story building inside with a ‘fictitious name’ and ‘[ fictitious ] logo’. What was ‘not visible’ – from the street – was that ‘behind’ the very ‘first set of doors’ was enough ‘armed guards’ to invade Poland, plus five [ 5 ] additional underground stories [ levels ]. They wanted to be as close as possible to the kinds of people they were looking to hire, and be able to bring them in with a minimum of fuss. Inside, we had everything we needed. State of the art hardware and a staff of over 200 computer scientists, electrical engineers, mechanical engineers, physicists and mathematicians. Most of us were civilians, as I’ve said, but some were military, a few of them had been working on this technology already. Of course, you were never far from the barrel of a ‘machine gun’ – even ‘inside the labs’ themselves ( something many of us never got used to ) – and ‘bi-weekly tours’ were made by ‘military brass’ to ensure that not a single detail was out of line. Most of us underwent extensive searches on our way into and out of the building. There it was, probably the biggest secret in the world, in a bunch of parts spread out on laboratory tables in the middle of Palo Alto so you can imagine their concern. One ‘downside’ to CARET was that it was ‘not’ as ‘well-connected’ as ‘other operations’ undoubtedly ‘were’. I ‘never got to see’ any ‘actual extra-terrestrials’ ( not even photos ), and in fact ‘never even saw’ one [ 1 ] of their ‘complete vehicles’ – ’99% of what I saw’ was ‘related to the work at-hand’, all of which was conducted within a very narrow context on ‘individual artifacts only’. The remaining ’1% came from people’ I met through the program, many of which ‘working more closely’ with “the good stuff” or ‘had [ worked with ] in the past’. In fact, what was especially amusing about the whole affair was the way that our ‘military management’ almost ‘tried to act’ as if the ‘technology’ – we were essentially ‘reverse engineering’ – was ‘not extra-terrestrial’ at all. Aside from the word “extra-terrestrial,” itself, we rarely heard any other terms like “alien” or “UFO” or “outer space” or anything. ‘Those aspects’ were ‘only mentioned briefly’ when absolutely ‘necessary to explain something’. A lot of the technology we worked on was what you would expect, namely ‘anti-gravity’. Most of the ‘researchers’ ( on the staff ) – with ‘backgrounds’ in ‘propulsion’ and ‘rocketry’ – were ‘military’ men, but the ‘technology’ we were dealing with was so ‘out of this world’ that it didn’t really matter all that much what your background was because none of it applied. All we could hope to do was use the ‘vocabulary’ of our respective fields as a way ‘to model’ the extremely bizarre ‘new concepts’ we were very slowly ‘beginning to understand’ as best we could. A ‘rocket engineer’ doesn’t usually rub elbows much with a ‘computer scientist’, but inside PACL [ PALO ALTO CARET LABORATORY ( Palo Alto, California, USA ) ], we were all ‘equally mystified’ and were ready to ‘entertain any and all ideas’. The ‘physicists’ made the most headway, initially because out of all of our skills, their’s ‘overlapped the most’ with the ‘concepts behind this technology’ ( although that isn’t saying much! ). Once they [ physicists ] got the ball rolling though, we began to find that many of the ‘concepts found in computer science’ were applicable as well, albeit in very vague ways. While I didn’t do a lot of work with the antigrav [ anti-gravity ] ‘hardware’, myself, I was occasionally involved in the ‘assessment’ of ‘how’ that ‘technology’ was meant to ‘interface’ with its ‘user’. The antigrav [ anti-gravity ] was amazing, of course, as were the ‘advances’ we were making with ‘materials engineering’ and so on. But what interested me most then, and still amazes me most to this day, was something completely unrelated. In fact, it was this ‘technology’ that immediately jumped out at me when I ‘saw’ the Chad and Rajman ‘photos’, and even more-so in the ‘Big Basin photos’. Their [ extraterrestrial ] ‘hardware’ was ‘not’ operated in quite the same way as ours. In our technology, even today, we have a combination of ‘hardware and software’ running almost everything on the planet. Software is more abstract than hardware, but ultimately it needs hardware to run it. In other words, there’s no way to write a computer program on a piece of paper, set that piece of paper on a table or something, and expect it to actually do something. The most powerful ‘code’ in the world still ‘does not actually do anything’ until a piece of ‘hardware interprets it [ software ]‘ and ‘translates’ its ‘commands’ into ‘actions’. But ‘their [ extraterestrial ] technology’ is ‘different’. It really did operate like the magical piece of paper sitting on a table, in a manner of speaking. They had something akin to a ‘language’ that could quite literally ‘execute’ itself – at least in the ‘presence’ of a very specific type of ‘field’ [ ‘field presence execution’ ]. The ‘language’, a term I am still using very loosely, is a ‘system’ of ‘symbols’ ( which does admittedly very much resemble a written language ) along with ‘geometric forms’ and ‘[ geometric ] patterns’ that fit together [ ‘interlocking’ ] to ‘form diagrams’ that are themselves ‘functional’. Once they [ interlocking symbolic format diagrams ] are ‘drawn’ – so to speak – on a suitable ‘surface’ made of a suitable ‘material’ and in the ‘presence’ of a certain type of ‘field’, they immediately begin performing the desired tasks. It really did seem like magic to us, even after we began to understand the principles behind it. I worked with these ‘symbols’ – more than anything [ else ] – during my time at PACL [ PALO ALTO CARET LABORATORY ( Palo Alto, California, USA ) ], and ‘recognized them’ the moment I saw them in the ‘photos’. They appear in a very simple ‘form’ on Chad’s ‘craft’, but appear in the ‘more complex diagram form’ on the ‘underside’ of the ‘Big Basin craft’ as well. Both are unmistakable, even at the small size of the Big Basin photos. An example of a diagram in the style of the Big Basin craft is included with this in a series of scanned pages from the [ mistitled ] “Linguistic Analysis Primer”. We needed a copy of that diagram to be utterly precise, and it took about a [ one – 1 ] month [ 30-days ] for a team of six [ 6 ] to ‘copy’ that ‘diagram’ into our drafting program! Explaining everything I learned about this technology would fill up several volumes, but I will do my best to explain at least ‘some’ of the ‘concepts’ – as long as I am taking the time to write all this down. First of all, you wouldn’t open-up their [ extraterrestrial ] ‘hardware’ to find a CPU here, and a data bus there, and some kind of memory over there. Their [ extraterrestrial ] ‘hardware’ appeared to be ‘perfectly solid’, and consistent, in terms of ‘material’ – from one side to the other. Like a rock or a hunk of metal. But upon [ much ] closer inspection, we began to learn that it was actually one [ 1 ] big ‘holographic computational substrate’ – each “computational element” ( essentially, individual ‘particles’ ) can ‘function independently’ but are ‘designed to function together’ in tremendously ‘large clusters’. I say its ‘holographic’ because you can ‘divide it up into the smallest chunks’ you want and still find a scaled-down but complete representation of the whole system. They produce a ‘non-linear computational output’ when ‘grouped’. So four [ 4 ] elements, working together, is actually more than four [ 4 ] times ‘more powerful than’ one [ 1 ]. Most of the internal “matter” in their [ extraterrestrial ] ‘crafts’, usually everything – except the outermost housing – is actually ‘this [ extraterestrial] substrate’ and can ‘contribute to computation’ at ‘any time’ and in ‘any state’. The ‘shape’ of these [ extraterrestrial ] “chunks” of ‘substrate’ also had a profound ‘effect’ on its [ extraterrestrial ] ‘functionality’, and often served as a “shortcut” to achieve a goal that might ‘otherwise’ be more ‘complex’. The ‘forms’ of the ‘shapes’, ‘symbols’ and ‘arrangements’ thereof is itself ‘functional’. What makes it all especially ‘difficult to grasp’ is that every ‘element’ of each “diagram” is ‘dependant on’ and ‘related to’ every ‘other element’ [ elements ], which means ‘no single detail’ can be ‘created’, ‘removed’ or ‘modified’ independently. Humans like written language because each element of the language can be understood on its own, and from this, complex expressions can be built. However, their “language” is entirely ‘context sensitive’, which means that ‘a given symbol’ could mean as little as a ’1-bit flag’ in ‘one [ 1 ] context’, or – quite literally – contain the entire human genome or a galaxy star map in another. The ability for a single, small symbol to contain, not just represent, tremendous amounts of data is another counter-intuitive aspect of this ‘concept’. We quickly realized that even ‘working in groups’ of ten [ 10 ] or more on the ‘simplest of diagrams’, we found it virtually impossible to get anything done. As each new feature was added, the ‘complexity of the diagram exponentially grew’ to unmanageable proportions. Word was that the ‘extraterrestrials could design’ these ‘diagrams’ as ‘quickly’, and [ as ] easily as a human programmer could write a [ computer language ] Fortran program. It’s humbling to think that even a ‘network of supercomputers’ was ‘not’ able to ‘duplicate’ what they could do in their [ extraterrestrial ] own heads. Our entire system of language is based on the idea of assigning meaning to symbols. Their [ extraterrestrial ] technology, however, somehow ‘merges’ the ‘symbol’ and the ‘meaning’, so a subjective audience is not needed. You can put whatever meaning you want on the symbols, but their behavior and functionality will not change, any more than a transistor will function differently if you give it another name. Here’s an example of how complex the process is. Imagine I ask you to incrementally add random words to a list such that no two [ 2 ] words use any of the same letters, and you must perform this exercise entirely in your head, so you can’t rely on a computer or even a pen and paper. If the first [ 1st ] in the list was, say, “fox”, the second [ 2nd ] item excludes all words with the letters F, O and X. If the next word you choose is “tree”, then the third [ 3rd ] word in the list can’t have the letters F, O, X, T, R, or E in it. As you can imagine, coming up with even a third [ 3rd ] word might start to get just a bit tricky, especially since you can’t easily visualize the excluded letters by writing down the words. By the time you get to the fourth [ 4th ], fifth [ 5th ] and sixth [ 6th ] words, the problem has spiraled out of control. Now imagine trying to add the billionth [ 1,000,000,000 ] word to the list ( imagine also that we’re working with an ‘infinite alphabet’ so you don’t run out of letters ) and you can imagine how difficult it is for even a computer to keep up. Needless to say, writing this kind of thing “by hand” is orders of magnitude beyond the capabilities of the brain. My background lent itself well to this kind of work though. I’d spent years ‘writing code’ and ‘designing’ both ‘analog’ and ‘digital’ circuits, a process that at least visually resembled these diagrams in some way. I also had a personal affinity for ‘combinatorics’, which served me well as I helped with the ‘design of software’ running on ‘supercomputers’ that could juggle the often trillions [ 1,000,000,000,000 ] of rules necessary to create a ‘valid diagram’ of any ‘reasonable complexity’. This overlapped quite a bit with ‘compiler theory’ as well, a subject I always found fascinating, and in particular ‘compiler optimization’, a field that was ‘not’ half [ 50% ] of what it is today back then. A running joke among the linguistics team was that Big-O notation couldn’t adequately describe the scale of the task, so we’d substitute other words for “big”. By the time I left I remember the consensus was “Astronomical-O” finally did it justice. Like I said, I could go on for hours about this subject, and would love to write at least an introductory book on the subject if it was not – still completely – ‘classified’, but that’s not the point of this letter so I’ll try to get back on track. I worked at PACL [ PALO ALTO CARET LABORATORY ( Palo Alto, California, USA ) ] from 1984 to 1987, by which time I was utterly burned out. The sheer volume of details to keep in mind while working with the diagrams was enough to challenge anyone’s sanity, and I was really at the end of my rope with the military attitude towards our “need to know”. Our ability to get work done was constantly hampered by their reluctance to provide us with the necessary information, and I was tired of bureaucracy getting in the way of research and development [ R&D ]. I left somewhere in the middle of a 3-month bell curve in which about a quarter of the entire PACL [ PALO ALTO CARET LABORATORY ( Palo Alto, California, USA ) ] staff left for similar reasons. I was also starting to disagree with the direction the leadership wanted to take as far as the subject of extra-terrestrials went. I always felt that at least some form of disclosure would be beneficial, but as a lowly CARET ‘engineer’ I wasn’t exactly in the position to call shots. The truth is, our management didn’t even want us discussing – even among ourselves – non-technical aspects of this subject ( such as ethical or philosophical issues, as they felt it was enough of a breach of security to let civilians like us anywhere near this kind of thing in the first place. So, about 3-months before I resigned ( which was about 8-months before I was really out – since you don’t just walk out of a job like that with a 2-week notice ) – I decided to start taking advantage [ remove PACL work documents, etc. ] of my ‘position’ [ a ‘situational position’ wherein his ( Issac ) PACL ‘security inspections’ on his ( Issac ) ‘person’ became lessened or ‘weak’ upon his ( Issac ) ‘departures from the PACL facility’ ]. As I mentioned earlier, my DoD [ United States Department Of Defense ] experience got me into an internal management role sooner than some of my colleagues, and after about a [ one – 1 ] year of that kind of status, the outgoing [ departing ] searches [ security inspections ] each night became slightly less rigorous. Normally, we were to empty out any containers, bags or briefcases, then remove our shirt and shoes and submit to a kind of frisking. Work was never allowed to go home with you, no matter who you were. For me, though, the briefcase search [ secuity inspection ] was [ had become ] eventually enough [ all that the security inspection became on him ( Issac ) ]. Even before I [ Issac ] actually decided to do it [ remove PACL work documents, etc. ], I was sure that I would be able to sneak certain materials out with me. I wanted to do this [ remove PACL work documents, photos, etc. ] because I knew the day would come when I would want to write something like this, and I knew I’d regret it until the day I died if I didn’t at least leave the possibility open to do so. So I started photocopying [ PALO ALTO CARET LABORATORY ( Palo Alto, California, USA ) ] documents and reports by the dozen. I had then [ 3-months before he ( Issac ) resigned from PALO ALTO CARET LABORATORY ( Palo Alto, California, USA ) ] put the papers [ documents, etc. ] under my shirt around my lower back, tucked enough into my belt to ensure they wouldn’t fall out. I could do this [ ‘physically able to do’ but ‘not authorized to do’ ] in any one of a few ‘short windowless hallways’ on some of the ‘lower floors’, which were among the few places that did ‘not’ have an ‘armed guard watching’ my every move. I would walk in one end [ of the ‘short windowless hallways’ ] with a stack of papers large enough that when I came out the other end [ of the ‘short windowless hallways’ ] with some of them [ documents, photos, etc. ] in my shirt – there would ‘not’ be a visible [ observational ] difference in what I was holding. You absolutely cannot be too careful if you’re going to pull a stunt like this. As long as I walked carefully they would ‘not’ make a crinkling noise [ paper flex rustling upon movement ]. In fact, the more papers I took, the less noise they made, since they were ‘not’ as flimsy [ resistant to flex upon restricted movement ] that way. I’d often take upwards of 10-pages up to 20-pages at once [ each time ]. By the time I was done, I had made out with [ unlawfully removed documents, photos, etc. away from PALO ALTO CARET LABORATORY ( Palo Alto, California, USA ) ] ‘hundreds’ [ 200+ or more ] of ‘photocopies’, as well as a few ‘originals’ and a ‘large collection’ of ‘original photographs’. – Five [ 5 ] pages from a ‘report’ on our [ PALO ALTO CARET LABORATORY ( Palo Alto, California, USA ) ] ongoing analysis of the “language” ( inappropriately titled “linguistic analysis” ) depicting the kind of diagram – just barely visible on the underside of the Big Basin craft. This material is the most, ‘relevant’ and ‘explanatory’, I could find on ‘short notice’. Now that these are up [ on the internet ], ‘if’ I decide to release more in the future, I’ll be able to take my time and better search this rather large collection of mine that I’ve sadly never organized. I’m not sure what I’ll be doing with the rest of the collection in the future. I suppose I’ll wait and see how this all plays out, and then play it by ear. There are certainly risks involved in what I’m doing, and if I were to actually be identified and caught, there could be rather serious consequences. However, I’ve taken the proper steps to ensure a ‘reasonable level of anonymity’ and am quite secure in the fact that the information I’ve so far provided is by ‘no means unique’ among many of the CARET participants [ had access to ]. Besides, part of me has always suspected that the [ United States of America ] government ‘relies on the occasional leak’ – like this – and actually wants them to happen, because it ‘contributes to a steady slow-paced path towards revealing’ the ‘truth’ of this ‘matter’. Like I said, I left PACL in 1987, but have kept in touch with a great many of my friends and co-workers from those days. Most of us are retired by now, except – of course – for those of us that went-on to get ‘teaching jobs’, but a few of us ‘still hear things’ [ ‘still told of these matters’ ] through the grapevine. As for CARET itself, I’m not sure what’s become of it. Whether it’s still known by the same name, I’m quite sure it’s ‘still active’ in ‘some capacity’, although who knows where. I heard from a number of people that PACL [ PALO ALTO CARET LABORATORY ( Palo Alto, California, USA ) ] closed up shop a few years after I left, but I’ve still yet to get a clear answer on why exactly that happened. But I’m sure ‘the kind of work we did there’ [ PALO ALTO CARET LABORATORY ( Palo Alto, California, USA ) ] is ‘still going’ strong. I’ve heard from a lot of friends that there are multiple sites like PACL in Sunnyvale, California ( USA ) and Mountain View, California ( USA ) also disguised to look like ‘unremarkable office space’. But this is all second-hand information so you can make of it what you will. Around 2002, or so, I came across Coast to Coast AM [ radio station in the United States of America ] and have been hooked ever since. I admit, I don’t take most of the [ radio program ] show’s content as anything more than entertainment, but there have been occasions when I could be sure a guest was clearly speaking from experience or a well-informed source. For me, there’s just something very ‘surreal about hearing all this speculation’ and ‘so-called inside information’ about UFOs [ Unidentified Flying Objects ] ( and the like ) but [ my ( Issac ) ] being ‘personally able to verify’ at least ‘some of it’ as being true or false. It’s [ Coast to Coast AM radio program ( USA ) ] also a ‘nightly’ [ time period, when Coast to Coast AM radio is broadcasted ] reminder of how hectic things were in those days, which helps me enjoy my retirement all the more. Knowing I’m not part of that crazy world anymore really is something I enjoy on a daily basis, as much as I miss some of it. What I’ve shared so far is only a very small portion of what I have, and what I know. Despite the very sheltered and insulated atmosphere within CARET, I did ultimately learn a great deal from various colleagues, and some of what I learned is truly incredible. I’d also like to say that for what it’s worth, during my time [ 1983 – 1987 ] there [ PALO ALTO CARET LABORATORY ( Palo Alto, California, USA ) ] I never heard anything about invasions, or abductions, or many of the more frightening topics that often pop up on Coast to Coast AM [ radio program ( USA ) ]. That’s not to say that none of it is true, but in my time working alongside some of the most well-connected people in this field, it never came up. So at the very least I can say my intent is not to scare anyone. My view on the extra-terrestrial situation is very much a positive, albiet still highly secretive one. One thing I can definitely say is that if they wanted us gone, we would have been gone a very, very long time ago, and we wouldn’t even have seen it coming. Throw out your ideas about a space war or anything silly like that. We’d be capable of fighting back against them about as much as ants could fight back against a stampede of buffalo. But that’s okay, we are the ‘primitive race’, they [ extraterrestrials ] are the ‘advanced races’, and that’s just the way it is. The ‘other advanced races let them live through their primitive years’ back in ‘their day’, and there is no reason to think it will be any different for us. They [ extraterrestrials ] are not in the market for a new planet, and even if they [ extraterrestrials ] were there are way too many planets out there for them [ extraterrestrials ] to care about ours enough to take it by force. To reiterate my take on the recent sightings, I would guess that experimentation – done in the last couple months – on a device that, among other things, is capable of interfering with various crafts onboard invisibility has resulted in a sudden wave of sightings. It may ‘not’ explain ‘all’ of the recent events, but like I said, I’d bet my life that ‘is’ exactly what happened at Big Basin – at least – and it’s probably related in some way to the Chad, Rajman and Tahoe [ Lake Tahoe, California / Nevada ( USA ) ] sightings [ of the unidentified flying object ( UFO ) ]. So, despite all the recent fanfare over this, I’d say this does ‘not’ mean much. Most importantly, they are ‘not suddenly’ “here,” they [ extraterrestrials ] have been here for a long time, but just [ have ] happened to turn ‘intentionally visible’ for brief periods ‘recently’. Lastly, there are so many people selling books, and DVDs, and doing lectures and all that so, I would like to reiterate the fact that I am ‘not’ here to ‘sell’ anything. The material I’m sharing is ‘free to distribute’ provided it’s all kept intact and unmodified, and this letter is included. I tend to question the motives of anyone charging money for their information, and will assure you that I [ Issac ] will never do such a thing. And in the future, just to cover all the bases, anyone claiming to be ‘me’ [ Issac ] who ‘is’ selling a DVD or book is most certainly ‘not going to be me’ [ Issac ]. Any future releases from me [ Issac ] will come from the e-mail address I’ve used to contact Coast to Coast AM [ USA radio station ], and will be sent to them [ Coast to Coast AM ( USA radio station ) ] only. At this time I do not have any future plans for additional information. Time will tell how long I will maintain this policy, but do not expect anything soon. I’d really like to let this information “settle” for a while and see how it goes. If I find out I’m getting an IRS [ United States Department of the Treasury, Office of Internal Revenue Service ( IRS ) ] audit tomorrow, then maybe this wasn’t too smart. Until then, I’m going to take it slow. This document is intended as a primer for the tentative findings of the Q4 1986 research phase ( referred to herein as “Q-4 1986″ ) at the Palo Alto CARET Laboratory (aka) PACL. In accordance with the CARET program mission statement, the goal of this research has been achieving a greater understanding of extraterrestrial technology within the context of commercial applications and civilian use. Examples of such applications, in no particular order, include transportation, medicine, construction, energy, computing and communication. The ultimate goal of this research is to provide a core set of advanced technologies in a condition suitable for patent review. Second [ 2nd ] is a distillation of the artifact’s underlying principles into usable, product-oriented technology. Suggestions of specific product applications on behalf of PACL have been encouraged, but are not considered mandatory or essential. 1) I realize now that I did not make this clear, but I should clarify that I am not responsible for the blacking out of the Q4-86 report. Most of the copies I was able to make came from documents that were already archived, which meant that they had already been censored for use by outside parties that needed access to some, but not all, of CARET’s information. I’m trying to share this information, not hide it, but if I did feel that if a given topic was too sensitive for some reason, I would make it clear that I had personally covered it up and probably try to give a reason why. 2) I do not understand the question about why the diagram would be “formatted for 8.5 x 11″… As I mention in my letter, the diagram is a reproduction, not the original. We had a team of technical artists painstakingly copy the diagram from its original source, which was a slightly curved panel not unlike the one seen in the Big Basin craft, although this one was apparently inside the craft, not on the outside. We copied it into a drafting program over the course of about a month. Our software was understandably primitive by today’s standards, but it was still orders of magnitude more powerful than a pencil and paper would have been. This made a task that would have otherwise been nearly impossible relatively feasible, albeit extremely time-consuming. I can assure you, “they” did not make anything particularly convenient for us. One of the reasons we chose to reproduce that particular diagram was because out of all the diagram-artifacts we had access to, it was on the flattest surface. Since the geometry of the forms is extremely important, curvature of the surface it’s printed on must be “corrected” if it is to be reproduced in a surface with a different contour (such as a flat page). This can be done in a number of ways, by either using a mathematical model to reverse the effect of the surface curves on the diagram’s shapes, or by methods of physical measuring that allow precise measuring of irregular surfaces. In either case, however, it adds a significant new dimension of labor to an already extremely labor-intensive task, so it’s avoided whenever possible. We really just needed one or two accurately copied diagrams to serve as convenient examples for our own work in decoding and reproducing it, so luckily this was not something we had to do often. Some experimentation was being done on ways to “scan” the diagrams as well, using an almost completely automated process that could automatically account for curved surfaces, but during my time there, very little progress was made on this front. 3) I think the confusion over the quality of the documents stems from the fact that he (critic) is under the impression they (CARET document) were typeset. They were not. First of all, I’m no guru when it comes to graphics or design, but being in close contact with numerous people from places like XPARC will give you enough background to know the lay of the land. What’s first important to note is that systems capable of desktop publishing had been in development for many years before CARET, mostly starting with the Xerox Alto (in 1973), which XPARC developed themselves. In fact, I once remember hearing from someone related to the original Alto team that Boeing (I believe) used the Alto to lay out and print the documentation for one of their planes (or something to that effect, I heard the story years ago). The joke was apparently that there was so MUCH documentation that the plane itself could essentially be filled with the pages. Furthermore, laser printing itself had also been around for many years (albeit in an extremely expensive form), and was also developed within XPARC (more or less). Other systems, such as PERQ and Lilith, also came out around the late 70′s and while none of them turned into major commercial products, they were not uncommon among large companies and [mostly] universities and were put to very productive use. These systems were also the inspiration for the Apple Lisa and Macintosh, which was of course perhaps the biggest factor in the consumer-level desktop publishing boom of the late 80′s and early 90′s. By 1984, there were quite a few options available for producing these kinds of documents, they were just ABSURDLY expensive, so they weren’t on every street corner. Obviously it was nowhere near as turnkey and simple as it is today, but it was a very crude approximation of the same process with similar tools. We just had far less features and everything was a hell of a lot slower. But the point I’m trying to make is that while our method of documentation was somewhat advanced for its time, and also somewhat uncommon, it was hardly unattainable by a sufficiently motivated, financed, and well-connected organization. I had very little contact with the technical writers for the most part, but I do know that we were using this kind of technology for both page layout and printing. CARET was expected to produce a massive amount of detailed, well-formatted documentation that could be easily modified and re-used for numerous drafts and revisions, and we would not have been able to keep up using traditional page layout and typesetting techniques. The mid-1980′s were a very transitional period for these fields, and I would suggest that people do not assume we were using run-of-the-mill standards. One of the things I appreciated most about CARET was that if the technology was available, and we needed it to work better or more effectively, it was given to us with little debate. But typesetting and digital page layout are apples and oranges, so I think most of this is a moot point anyway. The bottom line is that many people both inside and outside the engineering world frequently underestimate how long we’ve had a lot of the technology we have. 99% of the algorithms we use today were developed decades ago, they just didn’t have the same practical applications immediately available. Most of the engineers of the 60′s and 70′s would have been right at home with today’s developments and technologies. The only difference is that things have gotten smaller and faster. In the vast majority of technologies, that is the only thing that REALLY changes from one era to the next. If I told the average person that we had speech-synthesizing technology in 1936, they probably wouldn’t believe me. I could show you a prototype of a simple drafting/design system that was operated by a light pen directly on a screen from the 1960′s. You could draw a shape freehand, then immediately rotate it, modify it, duplicate it, or whatever. You could draw lines connecting different objects, then erase them by simply drawing a squiggly line over it. The computer could interpret the squiggles as a sign to erase something, all in real time. And this was half a century ago, and decades before CARET. Think about that for a moment. The point is, most of what we have today is much older than we think. The only differences are that it’s faster, cheaper, and a marketing team has given it a glossy finish and found a commercial application for it. But if you take away some of the speed, power, ubiquity and consumer appeal, you’ll find a lot of today’s technology scattered throughout much of the 20th century. I hope this is helpful. “1) While I wasn’t a major player in the (CARET) organization, I was hardly ‘some worker.’ My middle-management position is the only reason I was able to make out with what I did. Bear in mind that even someone in my position would never get the chance to leave with even the smallest of actual artifacts, but paperwork smuggling was feasible for anyone who wasn’t subjected to the frisking. Also, let’s not forget that paperwork only proves so much. I’ll be the first to agree that everything I’ve provided could be faked, I suppose. It is, after all, just a series of images. While the powers that be obviously don’t want this material leaking if they can help it, they’re certainly aware that scans of documents aren’t in the same league as UFOs landing on the White House lawn. I’m not the first person to leak a document or a photo, and I won’t be the last. The information I’ve shared is very unlikely to change the world, and this is the reason I’m not worried about being literally murdered if I’m identified. I’ll face consequences to be sure, but it’s not the kind of thing they kill for. 2) Of course the manual doesn’t look anything like typical government and military documents. The entire purpose of CARET was to recreate the look and feel of silicon valley private enterprise, populate it with private industry engineers, and let it tackle the problem of extraterrestrial technology research. Style manuals were among the numerous things we brought with us from the ‘outside world.’ I’m not sure what else can be said about this. I agree it’s uncommon for non-standard documents to come out of this kind of research, but it’s even more uncommon for people like myself (and even more so for many of my co-workers) to be brought into this kind of project in the first place. Most of us were decidedly not military men. I find it a lot more bizarre than the fact that we were able to design our reports a certain way. CARET was an exception to many of the usual rules. 3) If he (one of many critics who emailed Earthfiles and which I shared with Isaac) believes the pictures are fake, I certainly can’t do or say anything to prove otherwise. He sounds very sure of himself. 4) Most importantly, be very wary of anyone who claims to ‘know the mind’ of extraterrestrials. The comments he’s made are, to put it lightly, naive and extremely presumptuous. Firstly, he’s referring to ‘the aliens’ as if there is a single collective group of them. The universe is not split into ‘humans’ and ‘non-humans,’ any more than Earth is split up into ‘Spanish’ and ‘non-Spanish’ or something equally arbitrary. There are numerous races – and again, like our own races of humans here on earth, they do things in very different ways. His comment that ‘the aliens don’t do this or that’ is akin to saying ‘humans don’t speak Japanese.’ Well, many humans don’t, but Japanese humans certainly do. The point is not that his statement is right or wrong, but simply that it’s phrased illogically. He then goes on to suggest that the design of the drones is wasting space, which is again, alarming in its arrogance. We had some of the brightest minds in the world spending years just to understand a single facet of their technology, while this individual claims to be able to assess basically every detail of a given design after looking at a single photo and conclude that it’s inefficient. I’m not even sure such a statement should be dignified with a response, and I’m sure you can understand why. To be honest, whoever this person is, I wrote him off as soon as he said ‘the aliens would never design as these pictures depict.’ That’s about as presumptuous (if not ignorant) as a statement on this subject can be, at least coming from a fellow human. Unless there’s an alien engineer on the other side of this email, there’s simply no way such statements could have merit. I’m really only writing this as a courtesy to you. At best, he’s been exposed to technology from a radically different race, and at worst, he doesn’t know what he’s talking about. This individual may have access to real information, and he might not. If he is a fellow ‘whistle blower,’ then I’m not interested in attacking him. If he’s not, and is simply making things up, then I’m even less interested. Whatever he is or isn’t is not for me to say, but judging by the way he talks about this issue I have my doubts. It’s a big world and these are complicated issues. A sense of humility and the admission we don’t know everything is one of our greatest assets.